Finally, a city where books never get old. The number of local libraries, publishing houses and literary events continue to climb till this day. Melbourne, the capital of the Victoria state, also offers strong education, economy, and well, coffee. Melbourne is Australia’s second-largest city and is considered to be Australia’s cultural focal point. A wide variety of arts festivals and activities can be found in Melbourne, and the city itself was recognised to be a UNESCO City of Literature in 2008. Aside from the arts, Melbourne is also known for its success in tourism, sports, finance and manufacturing sectors. Although Melbourne was ranked as the third most expensive city in the world by the Economist Intelligence Unit (EIU) in 2013, expatriates who relocate to Melbourne will find an exceptional quality of life coupled with warm weather and easy access to several beaches. 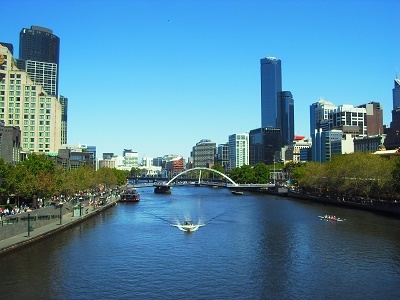 The city of Melbourne was founded on the Yarra River in 1835 after English farmer John Batman purchased 600,000 acres of land from eight Aboriginal elder chiefs. The area was named Melbourne after William Lamb Viscount Melbourne, who was the British prime minister at the time. A settlement was established near the river which grew into a town and a legal port. Some merchants, traders and bankers established themselves in the city, and by 1838, a number of buildings were built, and four banks had opened. Despite the developments, Melbourne possessed a relatively rural economy until the 1850s, when gold was found to be abundant. The discovery of gold drove many immigrants from around the world to the city, with some Chinese, Italians, Greeks and Vietnamese making up the majority of immigrants at the time. 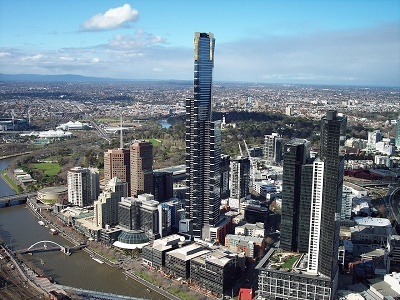 Melbourne is the south-eastern capital city of Victoria which is also widely known as Australia’s cultural centre. It is where sports, art and film industry were born and still flourishes to this day. Melbourne is also the home of a very diverse population which makes up its vibrant expat and migrant community. You will find moving in this city a very enticing idea since it promises a thriving job opportunity in the primary sectors such as IT, life sciences as well as agriculture. So if you’ve made up your mind to relocate to the city which moves nowhere but towards innovation without taking away your pleasure to marvel at breathtaking scenic views, here are a few helpful tips for you. One of the top boxes on your checklist is to find a place to live. A few weeks ahead, you can do a research about Melbourne’s real estate market through online portals to have an idea about the neighbourhoods and rental costs. Once you arrive, you can look in newspapers for listings or contact local realtors in the city. These professionals can help expedite the search and have a wider network in the rental market. Some landlords do not include the utilities (electricity, water, gas, and garbage collection) in your rental pay. The average monthly cost for these essentials is €115. You can also get an unlimited internet connection for around €45 per month and make local prepaid mobile calls at roughly €0.20 per minute. Apartments are the most common trend when it comes to housing in Melbourne nowadays. You can find a furnished or unfurnished apartment and choose between a short term and long term lease agreement. Though the cost of living in this city is considered to be high, it is still cheaper compared to Sydney. Here you can find a one bedroom apartment with a starting price of €1000 per month and €2000 for a three bedroom unit. If you prefer to live outside the bustling metropolitan, there are rentals outside the centre where a one bedroom flat usually costs €800, and a three bedroom unit is roughly €1300 per month. Most expats relocating to Melbourne choose to enrol their kids in international schools like Wesley College, which is one of the top-ranking International Baccalaureate schools in Australia. There are also local schools in the city which provides quality education like the University of Melbourne, founded in 1853 which makes it the second oldest university in Australia. Famous personalities like Nicole Kidman and Cate Blanchett are both alumni of this institution. Much experienced and even first-time expats find bringing their belongings abroad one of the tasks that needs so much attention. There are shipping and removal companies that provide door to door service to Melbourne so it’s best for you to contact one because these professionals will facilitate the whole moving process for you. The average transit time by sea can take up to 42 days, but this will still vary depending on your country of origin. Containers will arrive in the Port of Melbourne where local customs officers will conduct an inspection of the cargos. For more information about the city’s import regulations, click here. If you want to bring your pet to Canberra, make sure that it has the necessary documents like the Rabies Certificate and International Health certificate issued by a licensed veterinarian. Your pet is also subject to a ten day quarantine period before customs clear it for entry. Once you get to Melbourne, there is hardly a down time because of the city’s upbeat vibe and artistic community. You will enjoy its ever changing warm and cool weather as well as the many beaches and waterfalls that deserve a plunge on during weekends. In the southern part of Victoria lies a promising city is known as Melbourne. It has a population of 4.4 million an expat population composing 48% of the total population. It also has a land area of land area 9900 km2 that experiences the four seasons. Expats planning to live in Melbourne will find themselves in one of Australia's most culturally diverse cities. Its population is made up of locals and 140 different nationalities from all over the world. Here, working expats will be among communities with various ethnical influences such as Italian and Greek. Expat children will hardly feel home sick in Melbourne since there are so much fun activities to enjoy. Kids who love the wild can go to the Melbourne Zoo, Werribee Open Range Zoo and Healesville Sanctuary where they can get a whole Australian jungle safari experience. There is also the famous Sea Life Melbourne Aquarium in Yarra River that showcases 10000 various types of marine animals. Parents can also take children a little outside the city to the much visited Collingwood Children’s Farm or to see the adorable Penguin Parade in Philip Island. Summers in Melbourne are also fun-filled because of the many pristine beaches filled with coffee shops and restaurants. The most famous one is St. Kilda which is just a 6km drive from the city centre. Just half an hour away from the central business district is Elwood Beach, a favourite spot where families can ride a boat, grill barbeque or enjoy cycling along the coastline. Last but not the least is the picture-perfect Brighton Beach featuring 82 beautifully painted iconic bathing boxes. Australians love festivities. For 17 days every October, people gather in the Melbourne Festival where to celebrate theatre, circus, music and arts. There is also the much anticipated Melbourne Food and Wine Festival that starts on the last day of March until the first week of April. And since the city also serves as the home of various nationalities, Melbourne is also famous for its multi-cultural celebrations like the Mooncake Festival every September and the Carlton Italian Festa in October. One of the most prestigious and famous sports events in the city is the annual Australian Open which occurs in January at the Melbourne Park. It is the first leg of the four tennis Grand Slam competitions which are the French Open, Wimbledon and United States Open. Today, Melbourne is considered to be one of the most multicultural cities in the world and an international centre for culture. According to the population clock of the Australian Bureau of Statistics, Melbourne is estimated to have a population of 4,246,345 people. 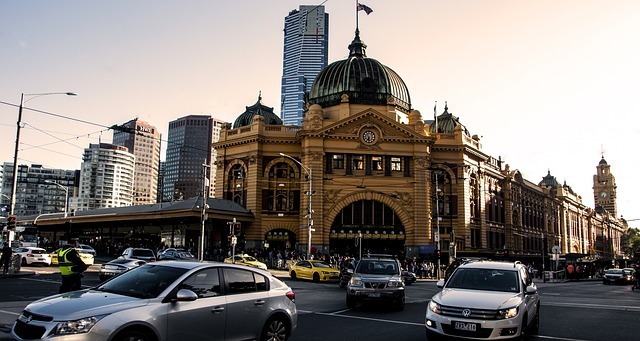 Melbourne is home to people from over 180 countries, and 233 languages and dialects are spoken within the city, although Australian English is the main language spoken in the country. Two-thirds (68%) of Melbourne residents speak only English at home while Italian is the second most common language (4.0%) with Greek (3.8%) and Chinese (3.5%) being the third and fourth most commonly spoken languages in Melbourne, respectively. Regarding ethnic groups, Melbourne holds a diverse and multi-ethnic population. It holds the second-largest Asian population in Australia and the largest Greek-speaking population outside Europe. Other countries where most immigrants come from include the United Kingdom, New Zealand, Ireland, Italy, China and India. The official currency used in Melbourne is the Australian Dollar, which is abbreviated with the currency symbols of AUD or A$ or $. It is divided into 100 cents, and quantities are listed in 5, 10, 20, 50 and 100 dollar notes. Coins come in 5, 10, 20 and 50 cents, along with 1 and 2 dollar coins. Do go to the pubs in small neighbourhoods because they are more traditionally inclined and will give expats an authentic Aussie experience. Do try the famous local Vegemite which is a yeast spread that tastes like peanut butter. Sign up for sports clubs like rugby or soccer because membership comes with nice perks such as top quality dinner or entertainment on weekends. Don’t hail a cab during the day because it’s best to use the public transport system which is one of the most efficient in the world. Don’t wander in Kings Street if you are not accustomed to strip clubs because it is a violence-prone area. Don’t bring any sharp weapons with such as a knife even if it’s meant for self-defence because Melbourne has strict knife laws.